Keep joints healthy and recovery on track with these superfoods. Here’s a question: What is inflammation? We can hear the crickets. That’s probably not too compelling on its own. So let’s take it a step further: How can controlling inflammation lead to better muscle gains and increased fat loss? Perhaps now we have your attention. When most of us are done working out at the gym, outdoors, or even at home, we usually experience soreness in our muscles afterwards. The soreness can least for several hours to several days. This is our body’s natural way of telling us to chill and so that it can repair itself to get bigger and stronger. Part of this healing process is inflammation and it can occur all throughout the body. So in lieu of extended rest – usually not an option for gym lovers – or an overuse of anti-inflammatories, what can we do to keep inflammation at bay? You can eat for it. There are foods that you can and should be eating that can keep you build muscle while also blunting your body's inflammatory response. 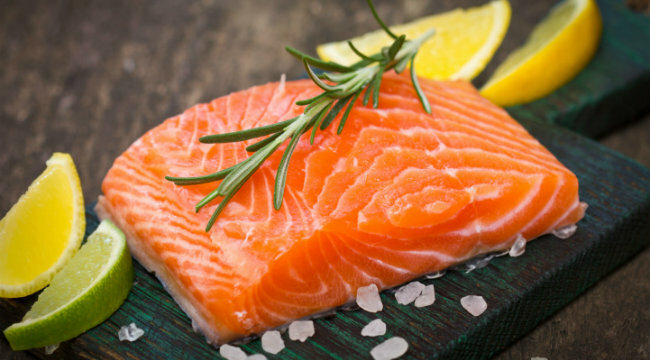 Filled with bulk-building protein and joint-nurturing healthy fats, salmon is one of the best anti-inflammatory foods that we should be eating. Salmon contains a healthy amount of omega-3 fatty acids, which have been shown to decrease inflammation in the body. It is this action that makes omega-3 fats in fish and fish oils helpful for suppressing the joint inflammation and destruction. When your joints are screaming at you, these omega-3s can help to lubricate them, helping them to move more freely. 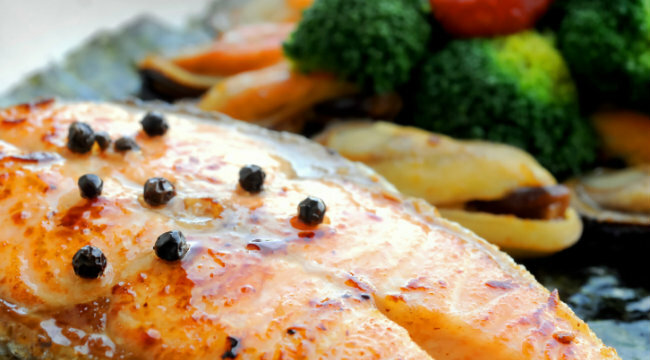 Aim for a twice-a-week helping of this inflammation-fighting fish. 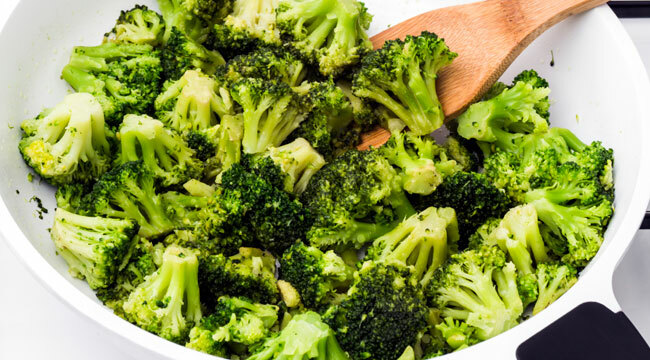 Once a food we had to be force-fed, most of us have changed our tune on broccoli as grown-ups. Broccoli is another superfood that is packed with anti-inflammatories, fiber, and antioxidants. Broccoli contains a compound called sulforaphane, which research has suggested as having anti-inflammatory properties. But sulforaphane is also a joint preserver, with studies pointing to its ability to reduce the breakdown of cartilage (Arthritis & Rheumatism, 2013). If you’re already eating broccoli, then bravo. If you’re not, try at least 2-3 servings a week and be sure to vary your clean-eating recipes so that you don’t drive yourself crazy. Your joints will thank you. 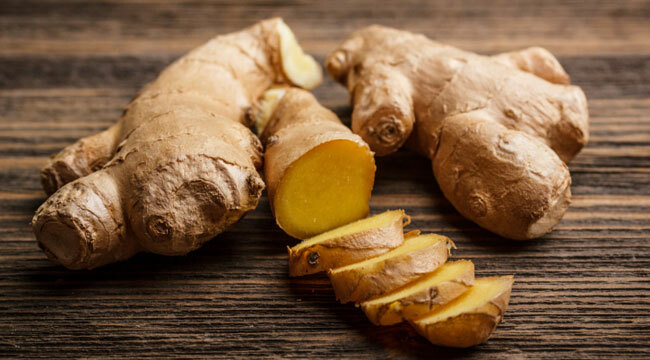 Another excellent anti-inflammatory choice is ginger. Ginger contains the compound gingerol that has been shown to reduce painful inflammation by inhibiting the effects of arachadonic acid. Too much arachidonic acid leads to an overproduction of pro-inflammatory hormones which can cause chronic inflammation – and that’s just bad for business if you like to punch your time card at the gym everyday. You can lessen the amount of arachidonic acid in your body is to cook with ginger or to supplement with it. Another way to get ginger-like benefits is to simply consume less omega-6 fatty acids and more omega-3s. Want to keep inflammation at bay? Add some garlic to your meals. 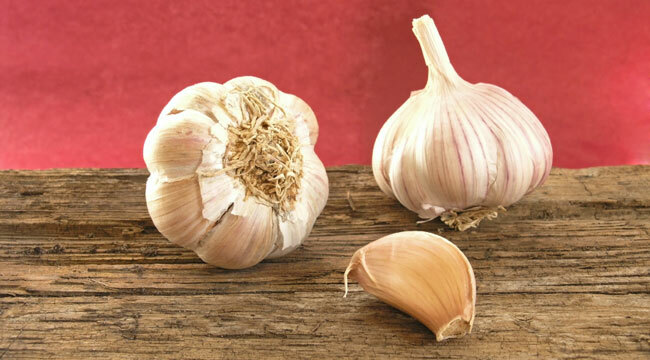 Garlic is very heavy in sulfur, which will not only help repair your cartilage, but also reduce muscle and joint pain by producing an anti-inflammatory analgesic effect on the affected joints. Inflammation can have devastating effects on the body, leading to joint stiffness, joint breakdown, joint swelling and loss of joint mobility. This can cause major problems to any workout regime. With less range of motion in exercising the body will not be able to run optimally and muscle building potential will surely be decreased. The greatest muscle gains come with a complete range of motion for the exercising muscle anything less we are cheating ourselves. Simply being aware of inflammation and its effects on your ability to build muscle or burn fat is a huge advantage. But by adding these four foods to your weekly menu, you’re likely to find that your muscles and joints recover faster and more completely, putting you back in top form, faster. Matthew Choate, NASM-CPT, CES, FNS holds a Bachelor of Science in Dietetics and Food Administration. He is a recent graduate from the dietetics program at California State University Long Beach and is currently in the Masters of Public Health program at CSULB. He has worked as an expert contributor for several health and fitness publications.